From the rude friend in the neighborhood to the scary show at Grandma’s house, our children will face negative influences. Even more so, their own hearts will lead them to worship the wrong things. So what do we do as moms to train our children in godliness? In this episode, Laura and Emily talk about building a gospel culture within our homes by offering grace, not guilt, to our children. By creating an environment of conversation, repentance, and joy, we can extend the welcoming attitude of Christ towards our children as they learn to live like Jesus. Our children are not the things they see or do, and we have the privilege of teaching them to look towards Jesus, again and again. While we cannot keep our children from all of the negative influences of this world, we can create a culture within our homes that continually points them to Christ (Deut. 11:18-20). Jesus modeled perfect obedience to God during his life, teaching us how to be in this world but not of it. Because of his perfect life and death on the cross, we experience deep grace every day. As you work through these questions, consider how you can draw your children to Christ through the normal rhythms in your home. Our family culture influences our children at home. What does your family value most? As a mom, you have the opportunity to live an authentic life of discipleship to Jesus in front of your children. How are you teaching your children to walk in his ways? The biggest problem our children have is inside of them. So we need to address negative influences with our children at the heart level. Consider an issue in your home right now. What does it look like to bring it back to the heart issue? We need to be praying constantly that our children will grow to love the one true God as we work to protect them. What practical things can you do to surround your children with godly influences in different settings? Ultimately, we do not change the hearts of our children, only God can do that. When we understand that God is in control of all things, we no longer have to strive to control our children. 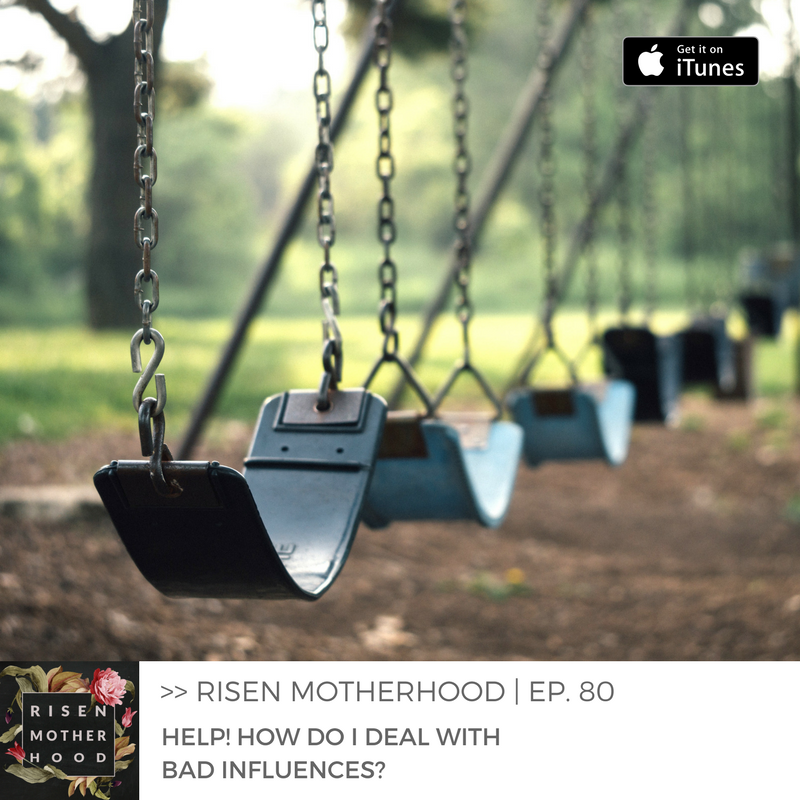 Are there are any areas of motherhood that you still try to control? How does your identity in Christ free you to trust God?